…it definitely makes a sound. Here at Woods Hole Group, we routinely measure shoreline change from visual observations of the high water line position through time. We are data-driven and visually-focused. But in the age of distributed sensors and crowdsourcing, it’s always interesting to think about new ways to sense and monitor shoreline change. 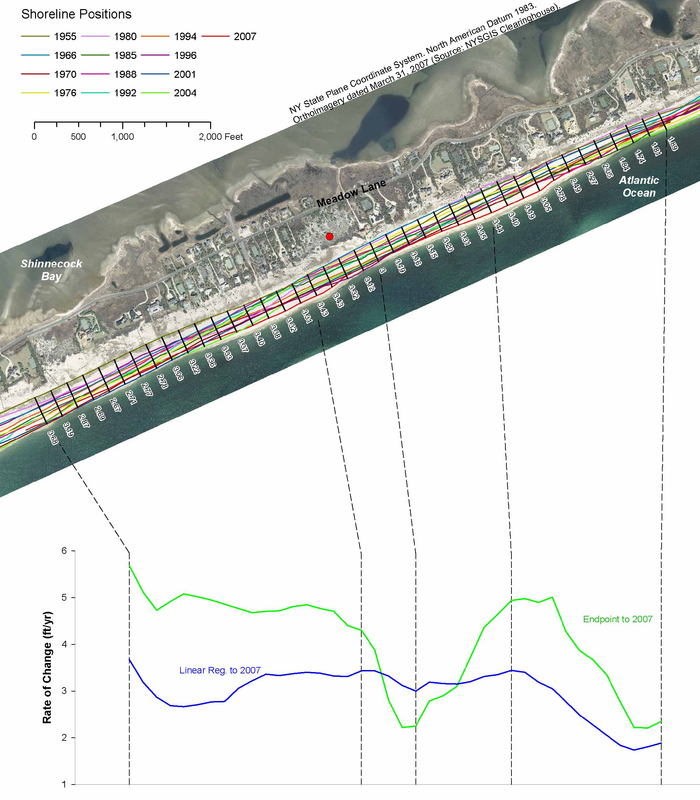 Could sea level rise change the sounds of the shore? Certainly, waves sound different hitting sand or a hard rock wall. But what is the sound of waves lapping away at the footings of a cottage? Or pummeling a roadway? Could a trained ear such as Steve Wilkes’ pick out (and even quantify?) the difference in wave energy and erosive force just by listening to the beach? Fascinating to think about the less obvious ways in which we can perceive change in the environment. This entry was posted in coastal erosion, environment, habitat, ocean, sea-level rise, shoreline erosion and tagged beach resource, beaches, Cape Cod, coastal, coastal erosion, environment, monitoring, sea-level rise, wildlife habitat. Bookmark the permalink.